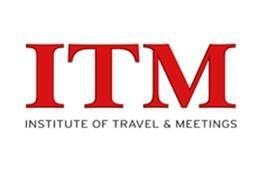 The Institute of Travel & Meetings (ITM) has announced that chairman Jamie Hindhaugh will step down at its annual board meeting in April. Hindhaugh, who is head of production 'L2012' at the BBC, will be replaced by Omnicom director of travel services Nicola Lomas. The news comes weeks after the ITM announced that chief executive Paul Tilstone is stepping down at the end of the year. Lomas said: "We saw an opportunity to align the chairman’s term with the conference dates and ensure a smooth handover of the two key leadership positions of ITM." "These timings mean that Simone’s work with Paul over the next two months will ensure she will really hits the ground running in 2012." Tilstone is being replaced by Simone Buckley, who joins the ITM on 1 November and is relinquishing her running and ownership of consultancy Bouda.